How Long is a Chest Cold Contagious? 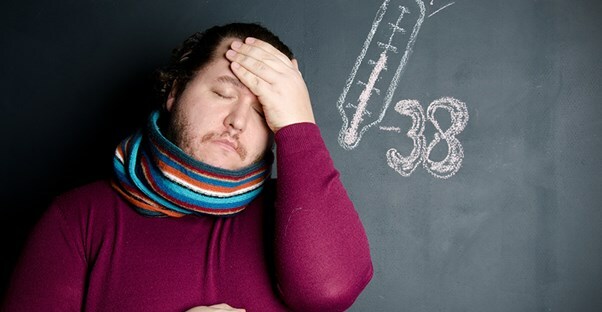 While the duration and symptoms of a chest cold (aka bronchitis) may vary, the length of a chest cold and similar respiratory infections is pretty standardized. However, it can be difficult to tell when a cold is coming on, because they tend to sneak up slowly, stacking up symptoms little by little. A low fever, congestion, coughing, sore throat, or general feeling of malaise can all be indicative of an approaching chest cold. It’s important to pay attention to such symptoms, as their presence can help you judge when you are contagious. Most experts agree that the viruses that cause chest colds can be spread for a week or so before symptoms even manifest, and this risk continues until every primary symptom has left your body. These colds generally spread by coming into contact with bodily fluids infected by the viruses. Thus, even though you may be contagious before you exhibit symptoms, you aren’t coughing into your hand before touching a doorknob, which makes it less likely that you’ll share your cold with everyone around you. The worse your symptoms become, the more contagious your chest cold is. The presence of a fever can be particularly indicative of being contagious, so you’re better off staying home and keeping your germs to yourself. Should I Be Worried About This Chest Cold?